Creed is an American rock band, formed in 1995 in Tallahassee, Florida. 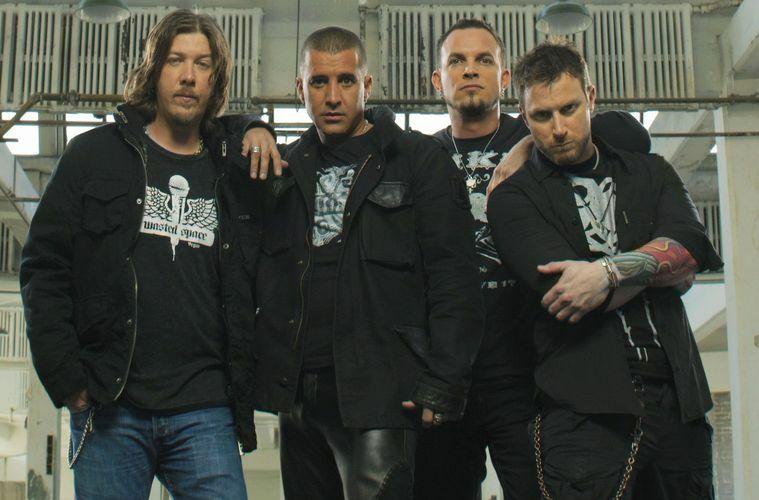 The band consists of lead vocalist Scott Stapp, guitarist and vocalist Mark Tremonti, bassist Brian Marshall, and drummer Scott Phillips. Creed released two studio albums, My Own Prison in 1997 and Human Clay in 1999, before Marshall left the band in 2000 to be replaced by touring bassist Brett Hestla. The band's third record, Weathered, was released in 2001 with Mark Tremonti handling bass before the band disbanded in 2004 due to increasing tension between members. Tremonti, Phillips, and Marshall went on to found Alter Bridge while Stapp followed a solo career. After months of speculation, Creed reunited in 2009 for a tour and new album called Full Circle, and in early 2012 the band reconvened to tour and work on a fifth album.